Sunrooms are a sophisticated way to welcome the light into your home year round and can even boost your home’s value. Do you dream of adding a sunroom or solarium to your home, I’ve got some good news: glass enclosures are always a good idea, and almost always possible, so long as they are built correctly. Here’s how to properly create a stunning, four-seasons room, from design to finish. Before we get into the details, it helps to get the terminology straight. Though sunrooms, solariums, patio enclosures, gazebos and conservatories all share the same construction considerations — energy efficiency, leak protection, drainage, architectural appeal, insulation, maintenance and a proper foundation — it helps to know the differences. Sunrooms and solariums are basically the same thing: four-season rooms enclosed by glass. Some builders distinguish the two by the amount of glass: solariums being comprised almost entirely of glass including the roof, and sunrooms shaded by a regular roof, perhaps with a skylight or two. 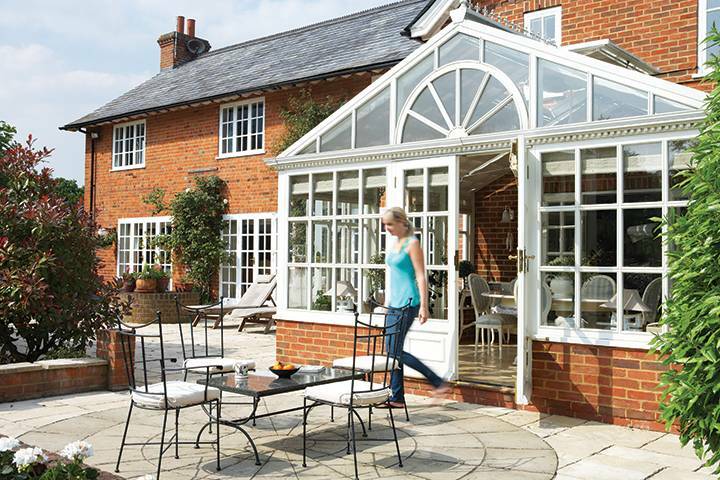 Conservatories are basically fancy greenhouses, with a nod to historic European homes where fashionable folks once added “orangeries” to cultivate citrus plants and other exotic flora. 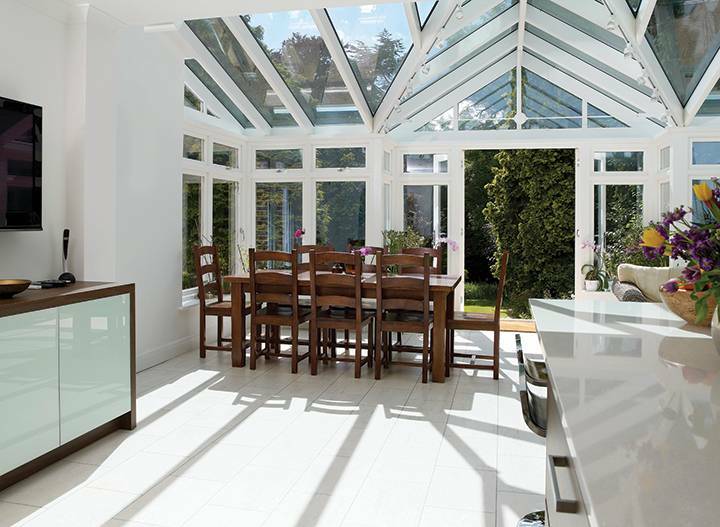 Conservatories often feature details like roof finials and pitched roofs. They vary from small and simple, to huge and ornate as you please. Patio or balcony enclosures may be either completely protected by glass, or feature open sides to block the wind, with a pergola for sun and rain protection. A little farther south, folks call these Florida rooms. In Hawaii, they’re lanais. What’s not to love about rooms that offer year-round, comfortable enjoyment of the outdoors, boost your home’s resale value and flood the rest of the house with natural light? Troy Nelson, owner of Northern Tropic Solariums, agrees. He’s often called upon by realtors and homeowners to build solariums to help sell homes that are sluggish on the market. And it works. Compared to ordinary additions, sunrooms usually cost about the same or less to build, depending on the design, yet they feel like an incredible luxury, as homeowners Angela Wood and Loren Bedford will tell you. Built atop a reinforced deck extending from the kitchen, their Northern Tropic addition now functions as a sitting area that they easily convert to a spacious dining room that hosts large family dinners. The 10-by-13-foot structure allowed the homeowners to retain deck space on two sides, further boosting the room’s versatility. “We saw Troy’s booth at the home show last fall, and construction started in February,” says Wood, who opted for hardwood floors and Western Red Cedar post and beam on the interior, with a white aluminum exterior. “Once we settled on the design, we didn’t have to do anything except paint the finished interior, which was easy because most of the room is either glass or wood trim.” The room is now everybody’s favourite spot in the house. Most of the problems associated with sunrooms apply to DIY projects and outdated older structures, but keep in mind that nearly all problem sunrooms can be fixed. All new sunrooms and enclosures must, by law, be engineered and built to code with the proper permits in place. Although that sounds daunting, most construction companies handle the process for you. 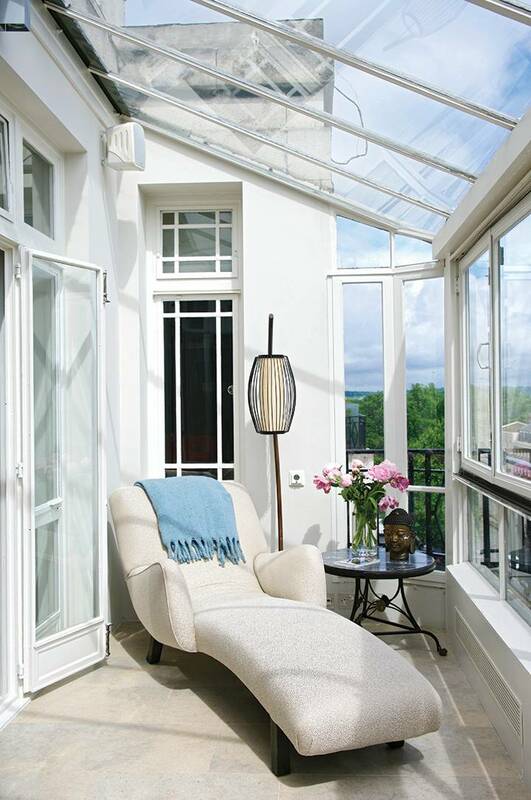 Visually, a new sunroom should blend seamlessly with the architecture of the house. Things like roof pitch, siding and exterior trim all need to flow together. Sunrooms and patio enclosures must be physically attached correctly, too, or they’ll leak, causing extensive damage to your home, or, in the case of condos, the entire building envelope. Tim Agar, project manager for Horizon Pacific Contracting and Sunrooms, sees this all too often. His company repairs existing structures of all shapes and sizes, and also creates design protocols for new strata buildings so that the plans are already in place should future condo owners decide to convert their balconies. Nelson uses a patented glass called ConservaGlass Plus, made by Four Seasons Sunrooms. Their technology employs two types of glass coatings: a heat-trapping coating used on the walls to capture the warmth of the sun in winter months when the sun is low; and a heat blocking coating for ceiling panels to reflect heat in the summer when the sun is high. Agar, who sources glass from Oldcastle Glass and Garibaldi Glass in Vancouver, says they select the right glass for each sunroom based on each site’s particular requirements. It’s part of the feasibility study they conduct at the beginning of each project, which examines details like land type, the architecture of the home, orientation and how the homeowners plan to use the room. The results of the study govern the entire project right down to the finishing details. Agar also says good ventilation is key in any size sunroom. Although ceiling fans are popular, they really aren’t necessary so long as 50 per cent of the wall systems can open so the air can circulate. A sunroom build adjacent to a patio makes the perfect transition space between indoors and out. For a serene sense of flow, be sure to choose indoor and outdoor décor that shares some of the same colours or décor elements to tie the design together. Maintenance is always a big concern when you’re dealing with so much glazing. You certainly don’t want to spend hours up a ladder cleaning pine needles off the roof, or having your view obstructed by the streaks you left behind with your squeegee. Some companies, like Allied Glass and Northern Tropic, offer special coatings that repel pollen and other debris (ahem, bird poop). Simply spray with a hose, or wait for a good rain shower, and voilà! Spotless glass. In the dry season, Nelson recommends a good hose-down with an outdoor glass cleaning solution of the home centre variety (or vinegar and water) using the Windex hose attachment. No squeegees required. Speaking of trees, are falling branches a problem during winter storms when you have a sunroom? Surprisingly, no. “We’ve installed sunrooms all along the West Coast, from Sooke to Port Renfrew,” says Nelson. “Even in heavily treed areas, breaks from branches are extremely rare.” Golf balls, however, are another story. Other details, like in-floor heating or the kind of elegant, tiny track rail lighting systems Agar often installs, must be built-in during the construction phase, with clear maintenance plans in place in case things go wrong down the road. When it comes to finishing materials, you have every choice available to you, but it’s important to incorporate those choices into the overall design. Sadly, in some cases, a sunroom addition just isn’t possible, but that doesn’t mean you can’t infuse your home with natural light. Consider replacing part of an exterior wall with windows (a.k.a. a “skywall”), or install a bank of skylights. Both options essentially create a sunroom without increasing square footage. Even the smallest skylight can transform a space, affording a constant link to the natural world with no compromise in comfort. Whether you opt for a sunroom or a skywall, this approach is perfect for welcoming more light into your home and extending the summer season year round.